In his fascinating new memoir (This Is Cuba) about his time as a photographer/reporter in CNN’s Havana bureau, David Ariosto described a visit from a neighbor not long after he arrived. Interesting is that when the young Cuban woman arrived at his rental house, in her hands was a gleaming Apple iPhone. But how could that be? Not only was an iPhone (the meeting took place in 2009) “well out of reach for most Cubans” from a cost standpoint, there’s a fairly strict embargo that limits U.S. exports to the country. Ariosto’s recall is a reminder of just how toothless are embargoes. If a product is high quality, it’s eventually going to end up where politicians would rather it not. Along these lines, readers can rest assured that Apple, Nike and all manner of other brands that scream “America” can be found in Iran despite naive attempts by the federal government to punish the Iranian people for having lousy leadership. Write it down over and over again: there’s no accounting for the final destination of any good. This includes the U.S. dollars that are helping liquefy trade in Tehran as you read this column. Which brings us to a recent Wall Street Journal opinion piece by former U.S. Rep. Mike Rogers. Rogers cheered Monday’s federal indictments of China-based technology company Huawei for alleged crimes “including bank fraud, sanctions violations, and theft of trade secrets.” Like a growing number of conservatives, Rogers is sadly of the view that Huawei, a corporation so effective that its products are in 178 countries around the world, represents a national security threat to the United States. One reason for Rogers’ alarmism comes care of Huawei’s presumed violation of U.S. sanctions on Iran. Ok, but any corporation producing desirable products is similarly in violation. This includes U.S. corporations. As previously mentioned, the final destination of any product is impossible to control. Even if U.S. corporations aren’t selling directly to Iranian consumers, they’re surely selling to them indirectly. To be clear, if your product has market value and you're mass producing same, you're ultimately exchanging your product with the enemy. And you know you are. In Rogers' defense, the Wall Street Journal's brilliant editorial page largely shares his view of Huawei. In a column eerily titled "U.S. Can Destroy Huawei" the normally circumspect Holman Jenkins suggested China has the potential to become "North Korea writ huge" as it "thumbs its nose at international norms, a pirate nation living by blackmail and theft." Jenkins's words read as an overstatement, and that's an understatement. Lest he forget, some of the U.S.'s greatest corporations and brands (Apple, Nike, McDonald's, Starbucks, to name a few) view the commercial opportunities in China as vast, and likely wouldn't risk their brands on a "pirate nation living by blackmail and theft." Can the greatest businesses in the world know so little about the country they're operating in, and Jenkins, U.S. Trade Representative Robert Lighthizer, and President Trump know so much? Jenkins views China and Huawei as major violators of all that's seemingly decent given his assertion that "Stealing is regarded as a national development strategy and patriotic duty" in this once desperately poor country, but isn't the latter a gross oversimplification of what's actually happening? If we ignore how readily Steve Jobs and Bill Gates admitted to aggressively lifting ideas from others, and if we more crucially ignore how incredibly difficult it is to mimic stolen genius, can Jenkins really believe theft even somewhat explains Huawei's status as (per Jenkins's column) "the world's largest telecom-equipment manufacturer and the second largest maker of smartphones"? Is there a comparable list of brilliant companies that similarly became great based on theft? More on this in a bit, but the Journal's editorial page has long decried industrial policy as the certain path to average (think countless editorials in the 1980s and '90s about Japan, the "China" of the late 20th century), but it seems to work in China given Jenkins's call for China to "start separating business from the state." For now it’s worth stressing what realistically has Rogers up in arms, and perhaps surprisingly Jenkins: Huawei is a very successful company. If it weren't, its actions would in no way matter to the U.S.'s political or pundit classes. But since the China-based maker of telecom equipment and consumer electronics represents a competitive threat to U.S. corporations in their fight for market share, there's a lot of noise and - much more perilously - government force coming from the U.S. This better explains why Rogers and others are cheering the horrid protectionism that’s behind these indictments. Crucial here is that the American people stand to lose the most from the federal government’s efforts to slow Chinese businesses in their race to meet the needs of global consumers. To understand why the above is true, readers need only consider where they presently live. Odds are most don’t reside in Cupertino (CA), Beaverton (OR), or Dallas, but the free flow of goods and services throughout the United States means we benefit from the genius of Apple, Nike and AT&T as though each corporation is located right next door. Huawei isn't all that different despite what Rogers and all-too-many conservatives sadly tell us. Rogers believes that 5G technology “will revolutionize the way we use technology,” but expresses worry that “China” seeks “dominance from the start” in the 5G space. And this is a problem because...? If we ignore how unlikely it is that Rogers has even a faint clue about what will revolutionize tomorrow's technology, Huawei’s success is a function of the popularity of its products around the world. Assuming it builds the best 5G network, it will want a return on its investment. There’s no better way to achieve a return than to sell 5G networking services to the biggest market (that would be the U.S. market) in the world. 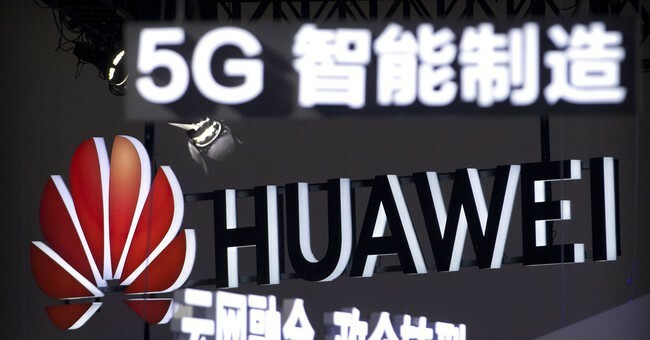 Implicit in the laughable notion that “China” or Huawei winning the race to 5G exists as a threat is that the rest of the world was harmed by the Apple’s stupendous success with the iPhone, and Microsoft’s with software. No, individuals the world over gained precisely because the products created by Apple and Microsoft were and are incredibly useful. The same applies to Huawei. Though most of us don’t live in Shenzen (where Huawei is located), it’s once again similarly true that most us don’t live in Cupertino. And it doesn’t matter. So long as markets are open, we benefit from genius regardless of where it emerges from. To all this, Rogers plainly doesn’t agree. He claims that “Through Huawei and the products it manufactures, Beijing is working to control the 5G network rollout, control the international standards for its deployment, and infect the foundation of the 5G system for its own benefit.” Seriously, what happened to conservatives? While they used to heartily embrace Ronald Reagan’s line about “the nine most terrifying words in the English language” being “I’m from the government, and I’m here to help,” the Chinese have taken space inside their heads. Though conservatives once understood that industrial policy and other governmental interventions in the marketplace harmed their supposed beneficiaries, apparently those views go out the window when it’s China’s government that’s allegedly teaming up with a private corporation. Rogers claims that “Huawei and other Chinese companies care nothing about free-market competition,” and Jenkins once again claims something similar in his call to separate "business from the state," but if true, Rogers, Jenkins and other conservatives have nothing to worry about. Indeed, as those on the right have long (correctly) stressed, a lack of free market discipline is the path to stagnation. Assuming the “China” plan “to dominate 5G technology” is government run as Rogers alludes, and is part of a "national development strategy" as Jenkins alludes, it will fail. Assuming what’s more likely, that Huawei thrives precisely because its operations are driven far more by market forces (can Rogers and Jenkins name all the technology companies run by governments, and that thrive globally? ), Americans will once again benefit as though Huawei were locally headquartered. As for Huawei’s ties to government and the Chinese military (Huawei founder Ren Zhengfei previously served as a People’s Liberation Army officer), the suspected nefarious connection seems a reach. Goodness, top American companies are littered with former military brass. Are all of them suspect too? After that, let’s be serious. Not only have conservatives long argued that tight working relationships between government and commerce weaken commerce, the simple truth is that it’s Huawei which is presently limited from legally selling some of its wares in the United States, and it's the federal government in the U.S. that presently has the power (according to Jenkins) to "destroy" Huawei. What this tells us is that one likely driver of U.S. disdain for China is a realization that "America" too is perilously close to U.S. businesses (how soon we forget those bailouts from 2008 that the Bushies said were so essential, or what about the CFIUS block of CNOOC's acquisition of Unocal...? ); these relationships detrimental to American consumers and businesses alike given the endless benefits that come from free markets and competition. More than some would like to admit, there's a looking-in-the-mirror quality to U.S. frustration with China. And if it's ever proven that the Chinese government plans to access Huawei technology to "increase opportunities for cyber-spying and theft" (Wall Street Journal unsigned editorial) around the world, it's a safe bet that markets will quickly correct the error to the detriment of China's government and Huawei. One never knows, but odds are Zhengfei didn't painstakingly build a global business that could be taken down at a moment's notice by errors committed inside China's political bureaucracy. Ultimately the whole Huawei story is strange. Again, what’s happened to conservatives? Once for limited government, they now increasingly paranoid in their calls for government to manage competition with “national security” fears in mind. Sorry, but China was a much bigger national security threat when its people were destitute. Now they’re trying to meet our needs and conservatives are fearful? That the Wall Street Journal’s editorial page is giving voice to emerging protectionism on the right is all the more disturbing for it revealing how much the Lighthizer/Navarro/Trump view of China and trade has seemingly infected the Holy Grail of correct thinking. Pre-Trump, opinion pieces like the one by Rogers and columns like Jenkins' were much harder to find, assuming the editorial page printed them at all. Here’s hoping wise thinking prevails at a time when “China” has market-oriented conservatives increasingly sounding like protectionists from the late 20th century back when "Japan" and its close ties with commerce had so many so mistakenly up in arms.